This is such a cute room. 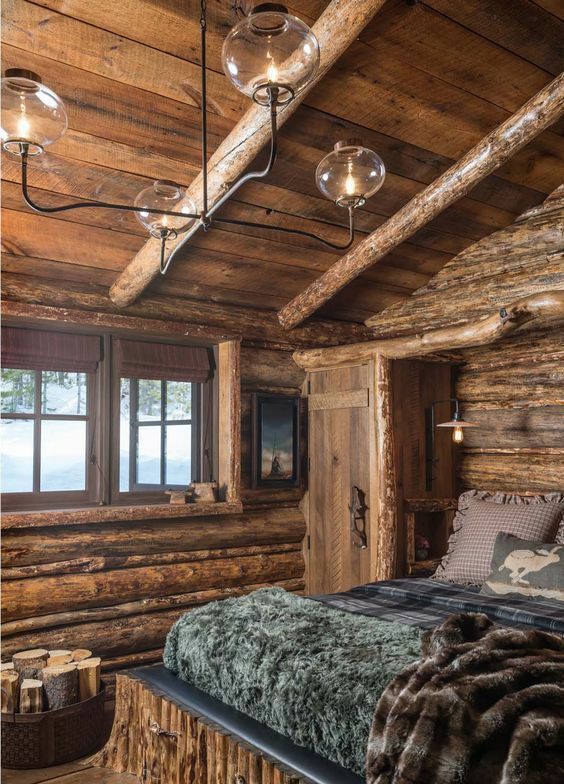 Rustic cabin style, with some soft accent throws. 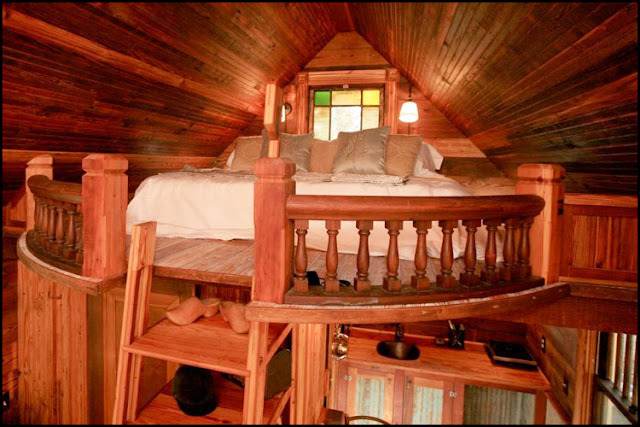 I would definitely sleep here. I like the little mini logs around the base of the bed...and that little closet. The room must have a fireplace too, since there's a little container of wood sitting there. How cozy!! I'm kinda crazy about the lighting fixtures. A modern twist to an otherwise rustic room.